What is an eBay Shop? Should You Open One? If you’re like most people, the line between selling stuff on eBay and running an eBay shop is probably pretty vague. I mean, it’s all ecommerce, right? Is there any real difference between the two? As it turns out, the answer is basically “no”. While eBay tries to make it look like running an eBay shop is a big step up from simply selling products, the actual differences are fairly minor. For certain sellers, however, those differences can be a big deal, so let’s take a look at what an eBay shop is, what makes owning a shop different from simply selling on eBay and when you should consider paying to have an eBay store. 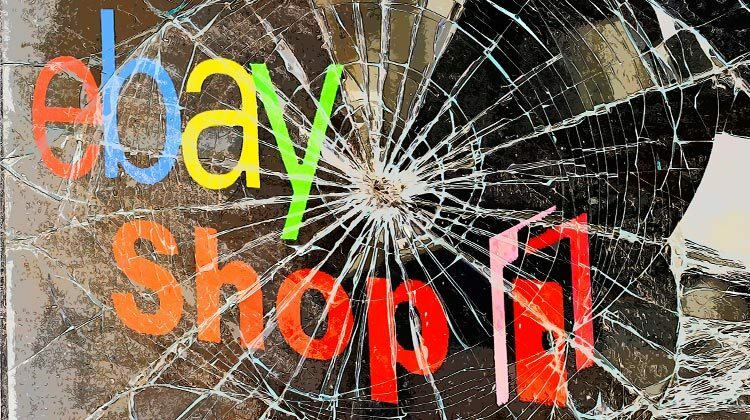 What is an eBay Shop? 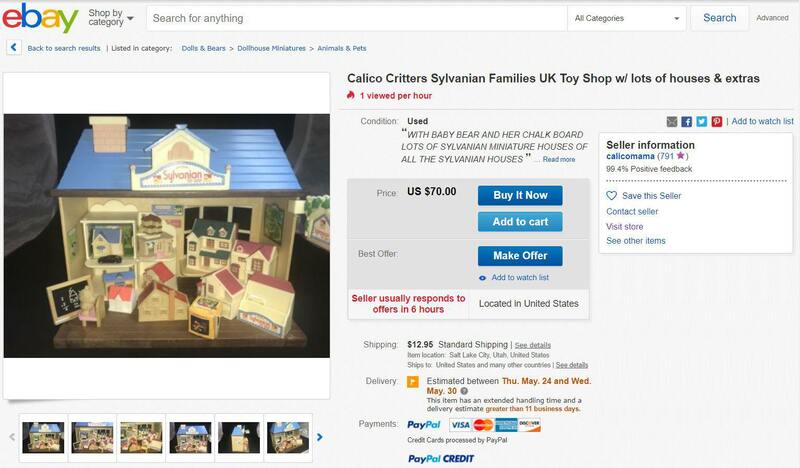 In many respects, an eBay shop is a lot like a Facebook business page. It’s a branded business page people can use to get to know you and find additional items to purchase. From these search results, you can’t really tell, but the top listing is from an eBay shop and the second listing is from a regular seller. Can you spot the difference? When it comes to the actual listings, there’s only one real difference between eBay shop and regular sellers: the little “Visit store” link in the “Seller information” section. Here, things actually start to look a little different. 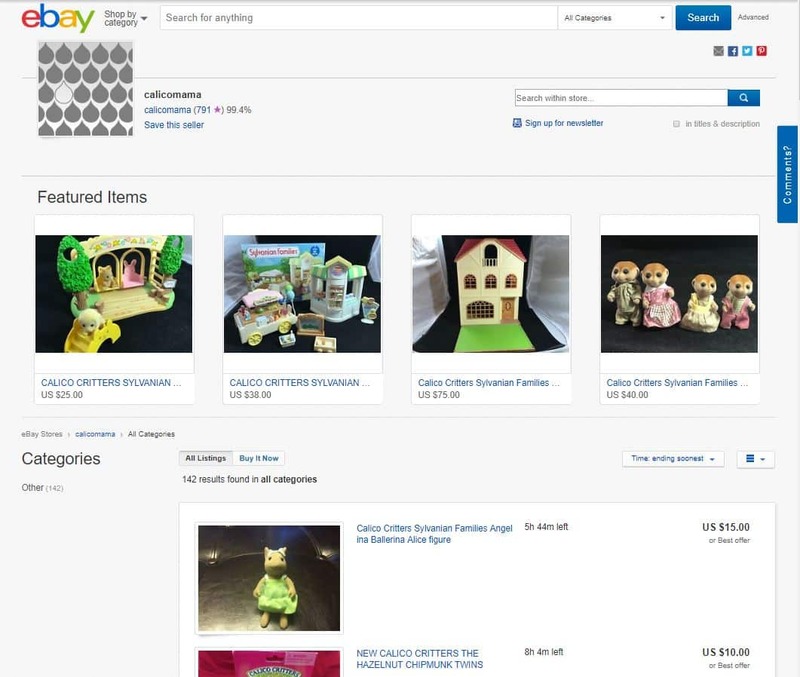 With an eBay store page, sellers get access to several features that give potential customers a more store-like experience. For example, potential buyers can look through items by category, search within a store for specific items or even sign up for a newsletter. It’s not much, but it does give volume sellers a few additional options. So, if this page is all you get, what is the point of a eBay shop? When you get right down to it, opening an eBay shop is all about backend benefits like more free listings or access to eBay’s Promotions Manager, not your listings or store page. 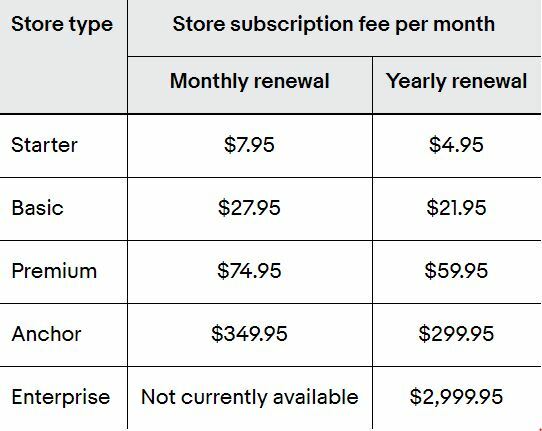 eBay has 5 basic subscription models for eBay stores with monthly fees ranging from about $5.00 to almost $3,000. What do you get for all that money? Let’s take a look. 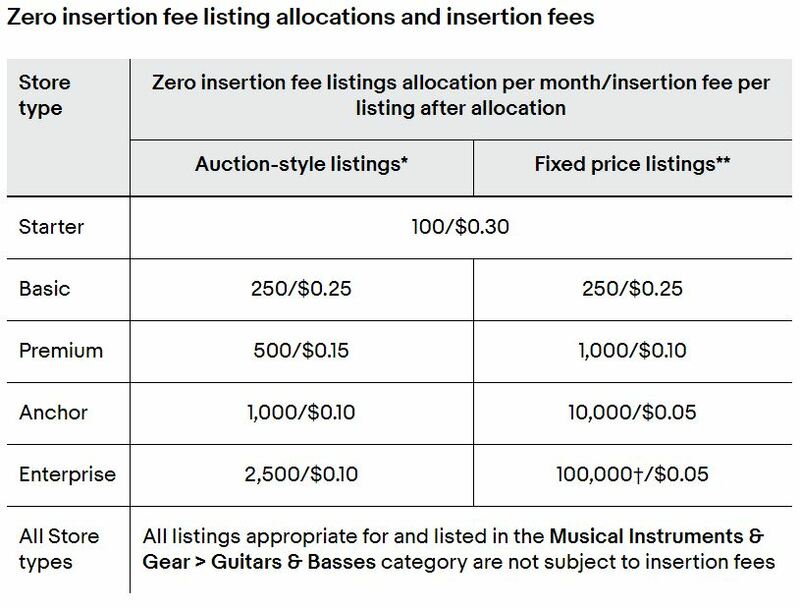 If you’ve ever sold on eBay before, you probably know that eBay gives regular sellers 50 free zero insertion fee listings. Every additional listing after that costs $0.30. Further complicating things, each category you list an item in counts against this total, so the more categories you place your items in, the fewer items you can list for free. 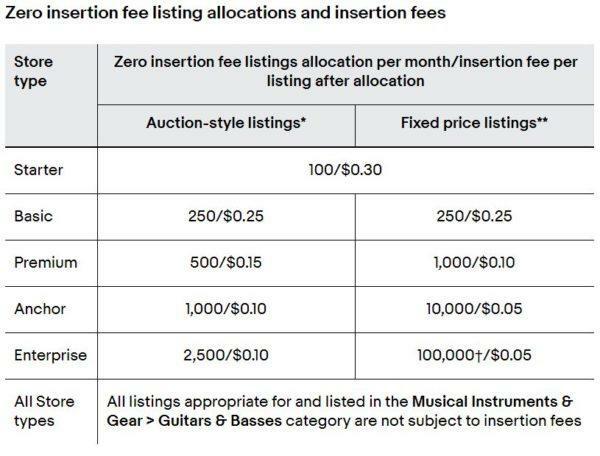 So, if you’re running 100 listings/month as a regular seller, you would spend $15 a month on listing fees (50 paid listings at $0.30 a pop). With an annual Starter subscription, you’d spend $4.95. In essence, that means your fee per extra listing dropped from $0.30 to $0.10. That might not be a big deal at the Starter level, but if you are creating hundreds or thousands of listings a month, that can save you a ton of money! Final value fees are the chunk eBay takes from a sale. eBay deducts these fees from your total sale price (including shipping). For regular sellers selling items in most categories (click here to see the exceptions), the final value fee is a straight 10% of the total sale price—up to a maximum of $750. So, if you sell a $390 smartphone with $10 of shipping, eBay will charge a final value fee of $40. If you sell a vintage coin collection for $12,000, eBay will charge you $750. If you have an eBay shop, you get a discount on final value fees—provided you’re not a Starter-level store. Unfortunately, unless you’re selling electronics, the discount isn’t much. Instead of paying 10% on every sale, you’ll pay 9.15%. That doesn’t mean very much…unless you are selling a lot of items. One potential selling point here is that the maximum final value fee for eBay shop subscribers caps out at $250, rather than $750. So, if you sell a lot of big-ticket items, this could save you a lot of money. For electronics, the final value fees typically range from 4-6.15%, so if that’s your bread and butter, opening an eBay shop could be worth it in terms of the final value fees discount alone. Another perk available to eBay shops is the ability to put your items on vacation hold. Doing this will allow you to hide your fixed-price items from eBay searches and your store page. If you’re selling at volume, this can be a handy tool, but if you don’t sell many fixed-price items, you can accomplish the same thing with a little advance planning. At this point, you may have noticed a slightly cynical tone to this article. Here’s my point of frustration: While eBay talks about all the perks sellers get from opening a store and paying a monthly fee, almost every selling point is something they also offer to regular sellers. As a subscription service, eBay stores leave much to be desired. Most of the perks of store ownership are already available to every seller (whether they’re aware of them or not), so using those as selling points feels just a little bit shady to me. Should You Open an Ebay Shop? Now, while I think owning an eBay shop isn’t all that it’s cracked up to be, the service isn’t necessarily bad. In fact, if you meet certain criteria, signing up for an eBay store can save you a few hundred dollars a month. You create 200+ profitable listings a month. If you’ve made $500 or more from a couple hundred listings a month for at least 2-3 months, creating an eBay store is probably a good move. You have a decent chance of getting some value out of your store page and switching to a subscription will probably save you some money on fees. You primarily sell electronics. Even if you don’t sell a ton of items on eBay, if you’re selling electronics, signing up for a Basic or better plan can save you 4-6% on final value fees. On most electronics, that discount should allow you to recoup the cost of your subscription fee with a handful of sales. You primarily sell big-ticket items. If you sell items for over $3,000 at least once a month, an eBay store can potentially save you a lot of money on final value fees, since store fees cap out at $250, rather than $750. If you don’t meet the criteria above, it probably isn’t worth investing in an eBay shop. You can always start as a regular seller and then—once you meet one of these criteria—upgrade to store status, so why not save a little money while you get your eBay business to viability? eBay works hard to convince new sellers that opening an eBay shop is the key to success. However, if you take a close look at what you get from an eBay store, most sellers won’t get very much out of their store subscription. 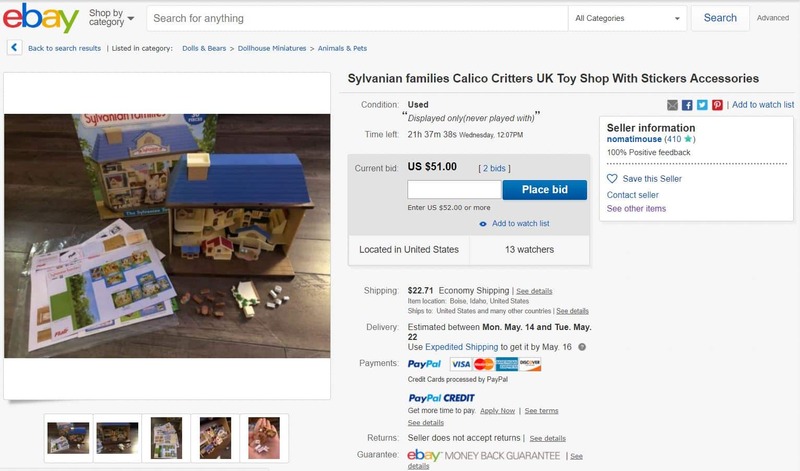 Hopefully, this article has helped you decide whether or not an eBay shop is right for you, but if you still have questions, feel free to leave them in the comments. Or, if you disagree with my stance and want to make a case for why everyone should have an eBay store, I’d love to hear your thoughts in the comments as well. What do you think? Is an eBay shop worth it? What has your experience with owning an eBay shop been like? Would you recommend it? Would you add any more situations where you should create an eBay store to this list?